In the late 70-ties Swedish dentist Leif Ericsson, the Head of the Periodontological Department in Västervik Hospital, was challenged with the complexity and the amount of instruments there were available for the periodontal specialists. Couldn’t there be an easier way and a simpler instrument, he thought. He started looking at the design and function of different instruments and got the idea to combine two popular instruments which, however, required switching instrument in the same interproximal space: Gracey 11/12 for mesial surfaces and Gracey 13/14 for distal surfaces. A synthesis of two curettes – a Syntette! The idea turned into a sketch on a paper – that ended up in a drawer. Later sometime in the 80-ties, he was standing in a crowded suburban train in Stockholm on the way back from Swedental Dental Congress. By pure coincidence he met the man standing beside him, dentist Pekka Kangasniemi, founder of LM-Instruments. They started discussing the idea and the double sided Gracey, i.e. LM-Syntette was created. An all round instrument for all surfaces in the total dentition, which can be easily shifted from tooth to tooth without changing the instrument. Simply clever! 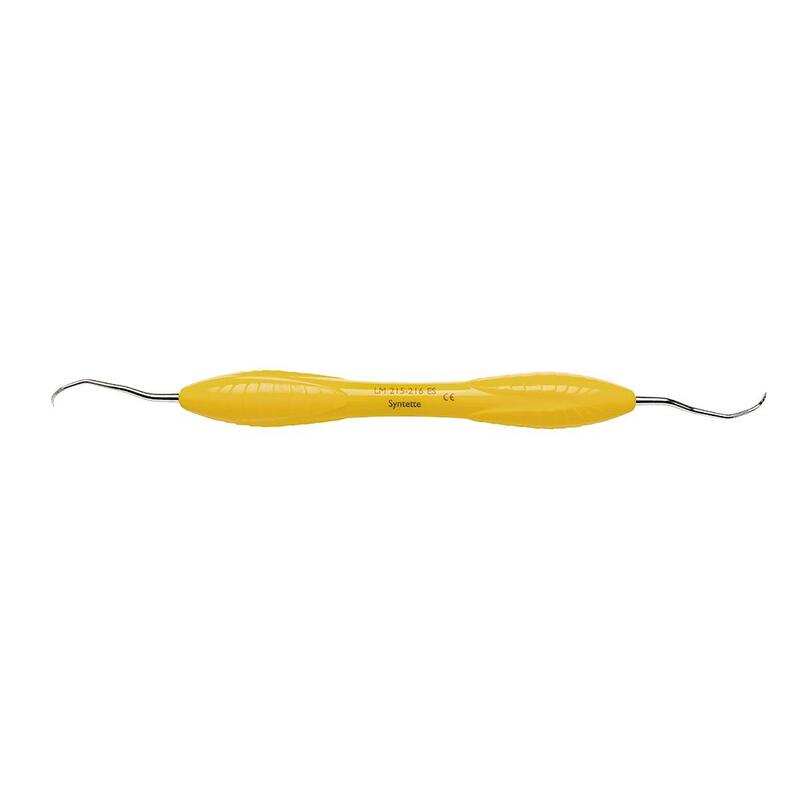 LM-Syntette – LM Dual-Gracey – is a combination of universal and finishing curette, designed for the removal of supra- and subgingival calculus. For both concave and convex surfaces. Distal and mesial surfaces of the same interdental space can be treated with the same instrument head. Suitable for both vertical and horizontal techniques. A special curette for removing calculus, supra- and subgingivally by Dr Kimmo Suomalainen.